We have seen the Towers fall again and again in a series of powerful documentaries and TV shows. Movies have expertly rendered the courage of first responders and the passenger takeover on United Flight 93. 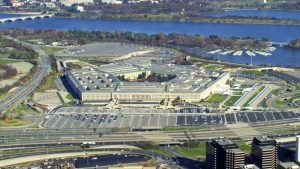 But in the smoke of 9/11, one story still remains largely overlooked: the attack on the Pentagon. 9/11 Inside the Pentagon delivers the most complete and largely untold story of this attack. On CPTV: Monday, September 11, 2017 at 10 p.m.